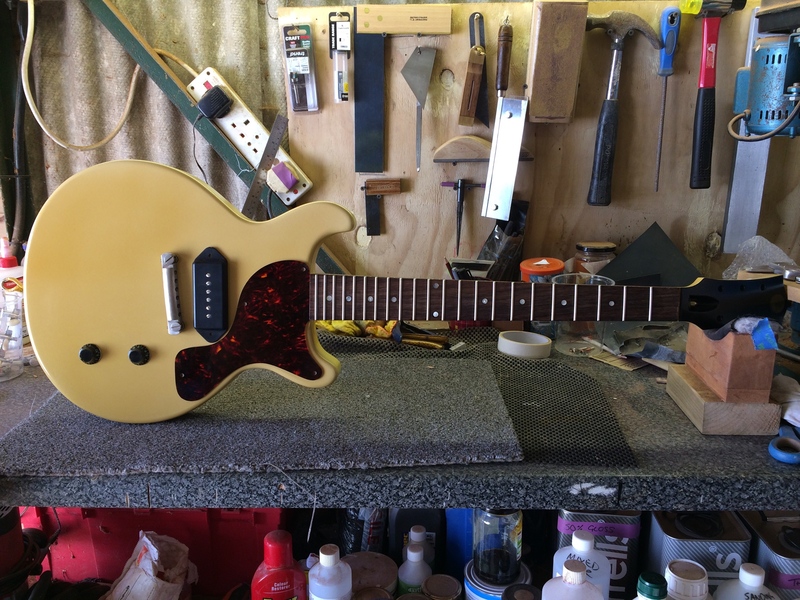 '59 DC Model in Aged TV Yellow...I just offered up one of my NOS Celluloid guards against this one and a huge smile flashed across my face, it's going to look very authentic indeed! These look fantastic Neil. 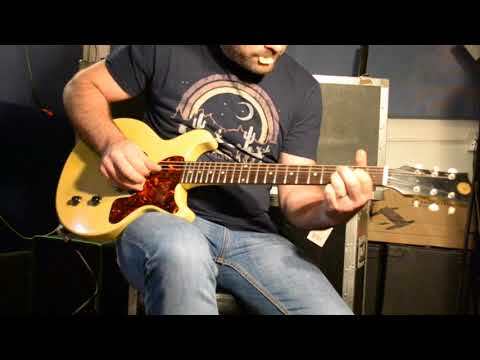 I love the prototype I bought from you last year...I'm always getting positive comments on it from other guitarists...everyone that's tried it now covets it! Glad to see you're getting this venture off the ground. I so should have bought this. 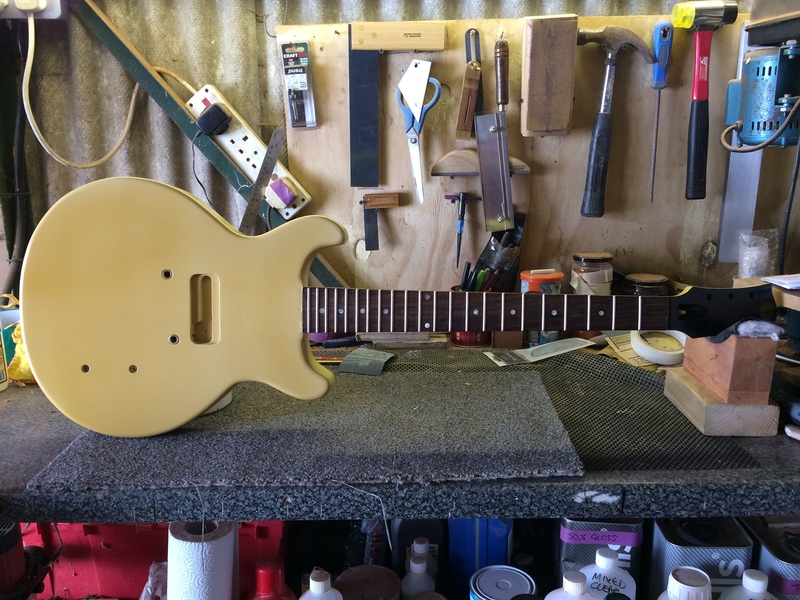 Here's a 1957 TV Special that i've just finished putting together after refinishing in TV Yellow....Not before taking all it's vital statistics for an Ivison TV Special build soon...! 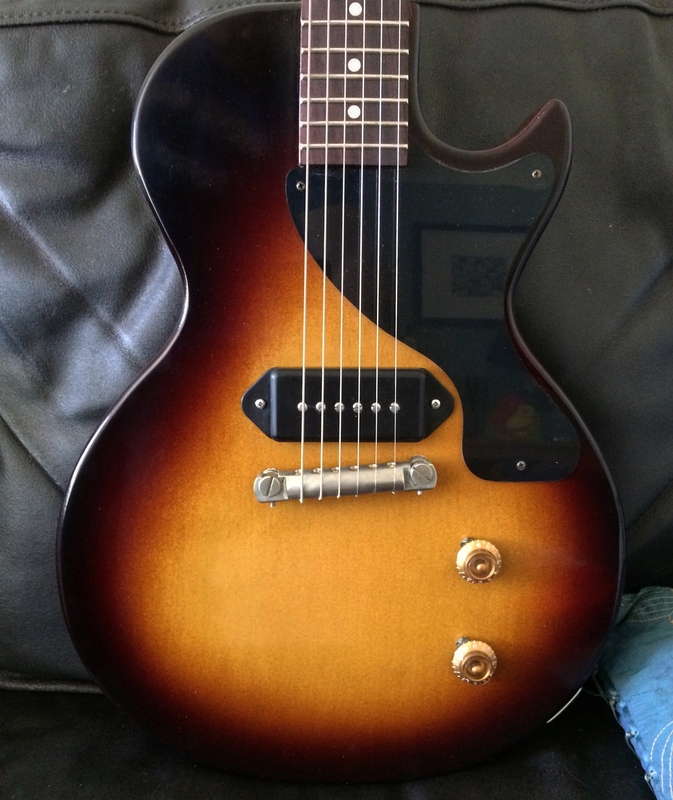 It's my own personal guitar and an absolute KILLER! Big improvement on the finish there! 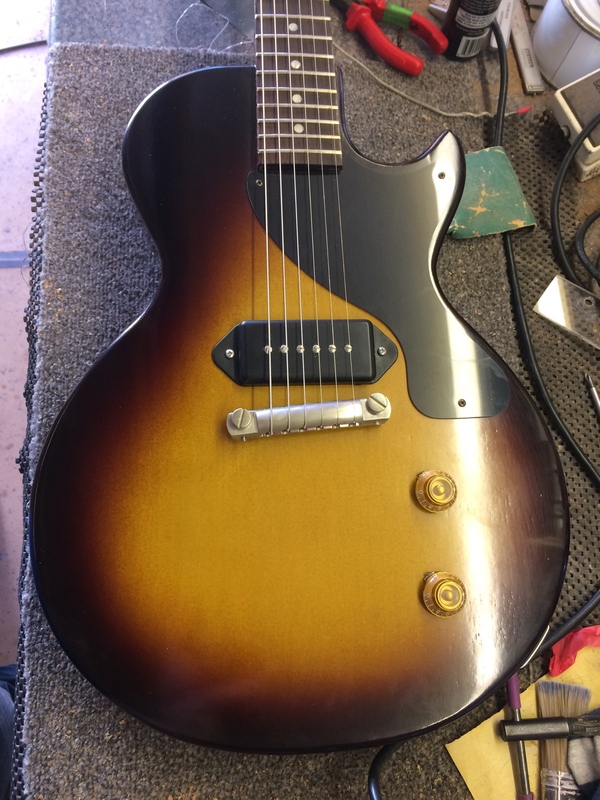 Really enjoyed reading this thread Neil and the guitars look stunning... Just wondering, is there much neck angle on a junior, and have you decided to alter it at all? I've never actually played one! Great work. If you weren't working on mine already I would be all over this, This is a stunning guitar and looks even better in real life (the subtle checking is awesome). 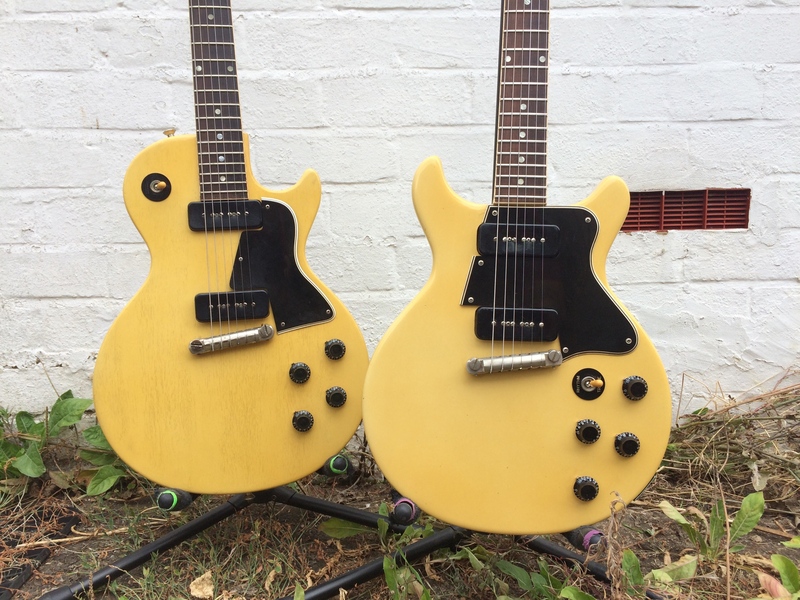 Whoever buys this will be getting a very good guitar! 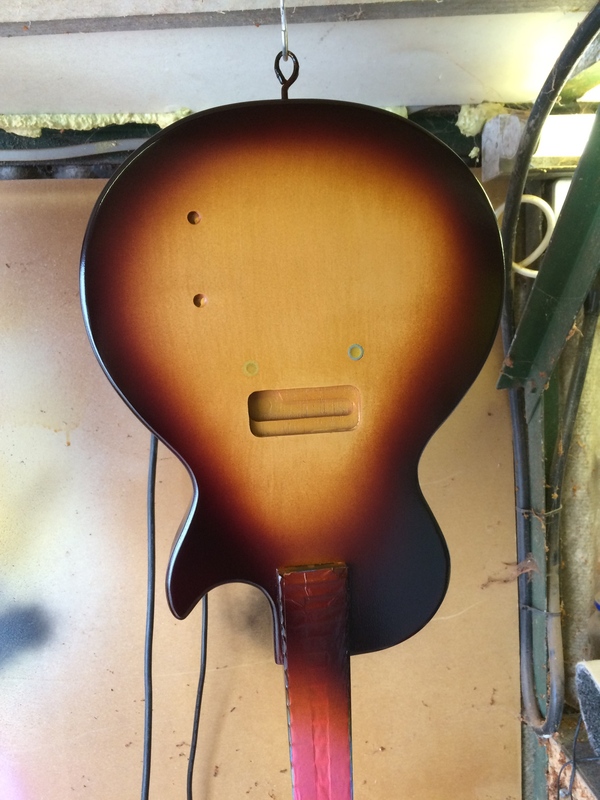 This is the beauty of the fretboard, you think you are all sorted for guitars and then something like this comes along and you’re immediately looking for something to sell. I’d even let my rick 330 go for this I reckon. Buy any one of my guitars that are not for sale, or as cool as this and I will definitely take that one for the team! 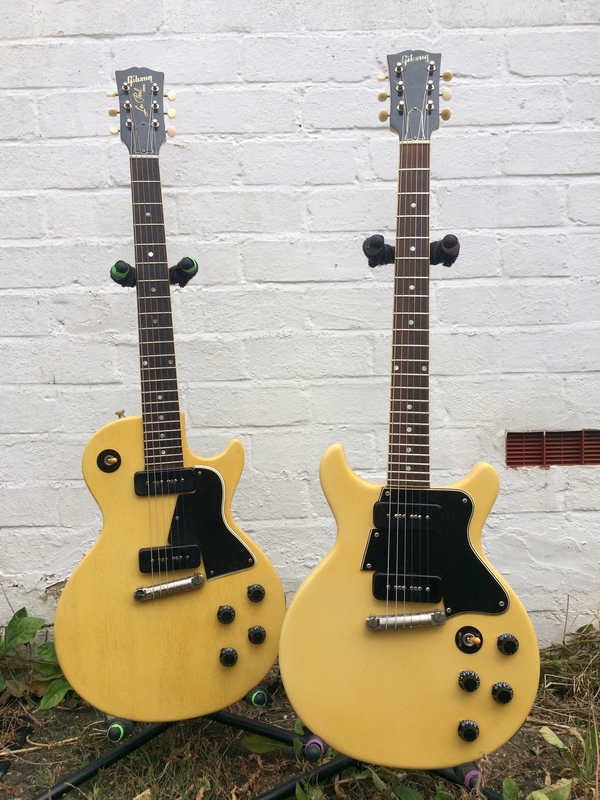 Alex spent considerable effort sourcing original 50's P90's, covers and scratch plate and it's rewarded him with an absolute screamer of a guitar! Thanks @miserneil , I plugged it in as soon as i got home and it is simply the best sounding guitar i have ever played, I'm so happy with it. 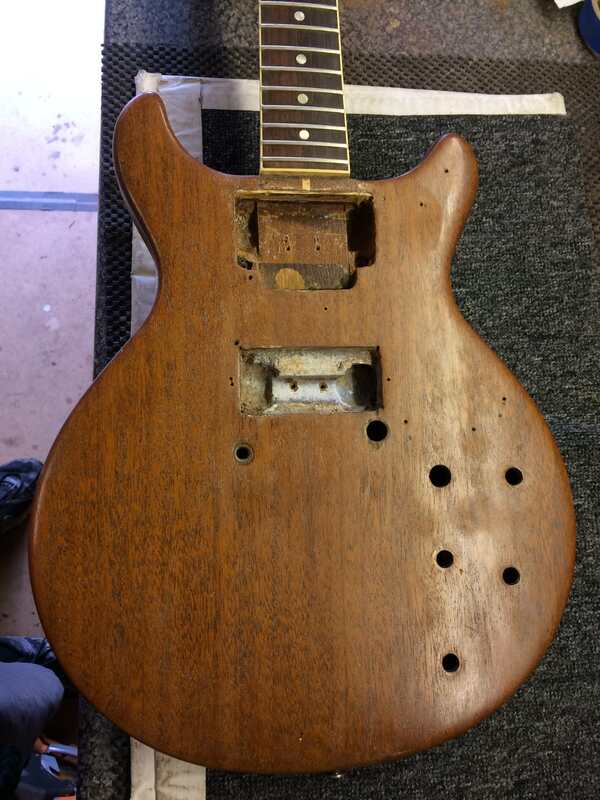 As you can see i bought the guitar in pretty bad condition but Neil has worked his magic. I'll be doing a proper NGD thread soon once i get some more pics but just wanted to say @miserneil was an absolute pleasure to deal with. 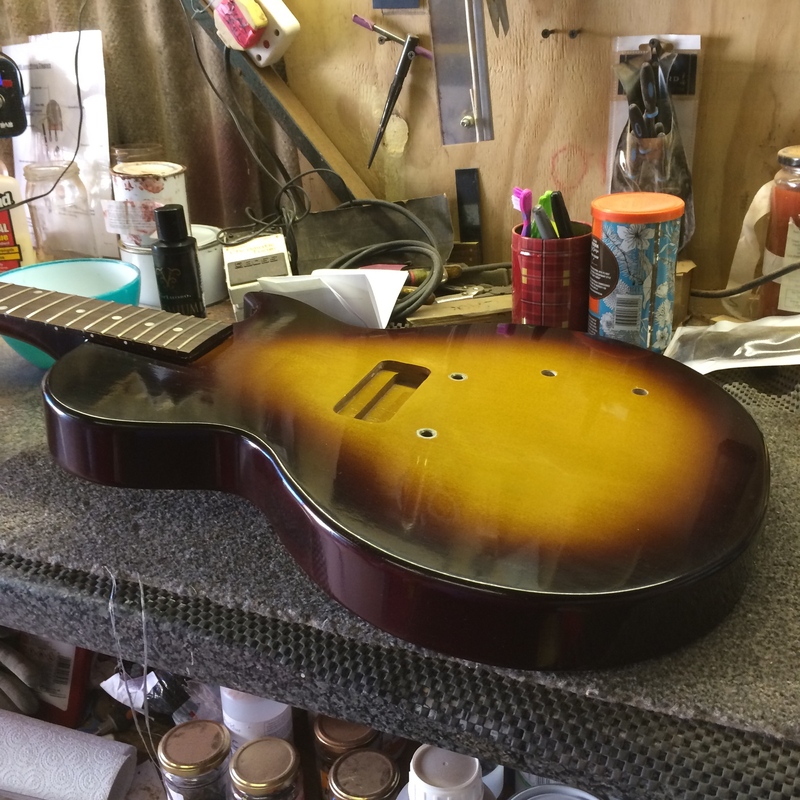 Every step of the way he was fantastic in helping me source original parts and restoring the guitar. Massive thanks Neil! Brilliant Alex! So pleased you are happy with it, it came out great I think! I just posted this on the Making and Modding Thread, thought it might be useful here too. Here's a video I made while setting up a customer ordered guitar. Just trying to show how the more you dig in, the more you get back and how well the guitars clean up with the volume control. 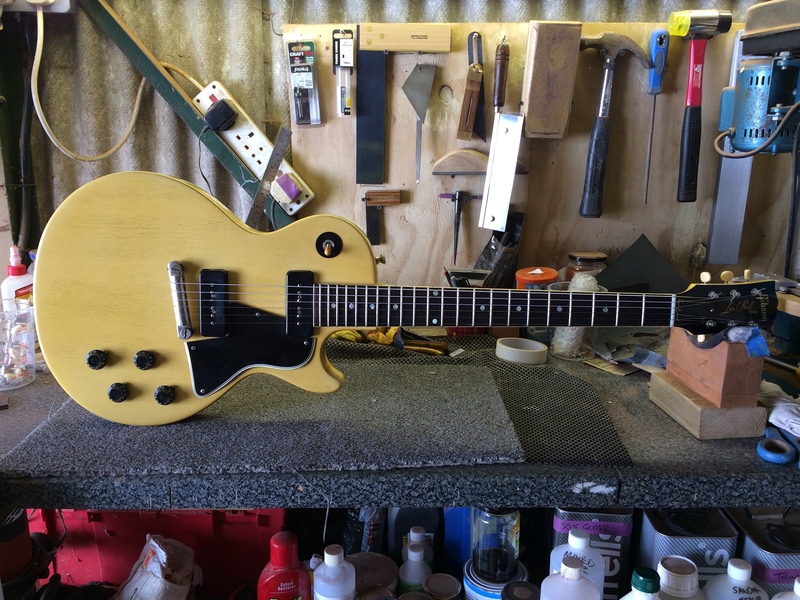 Just finishing this one up today, fret dressing and final set up tomorrow, just in time for the Northampton show! 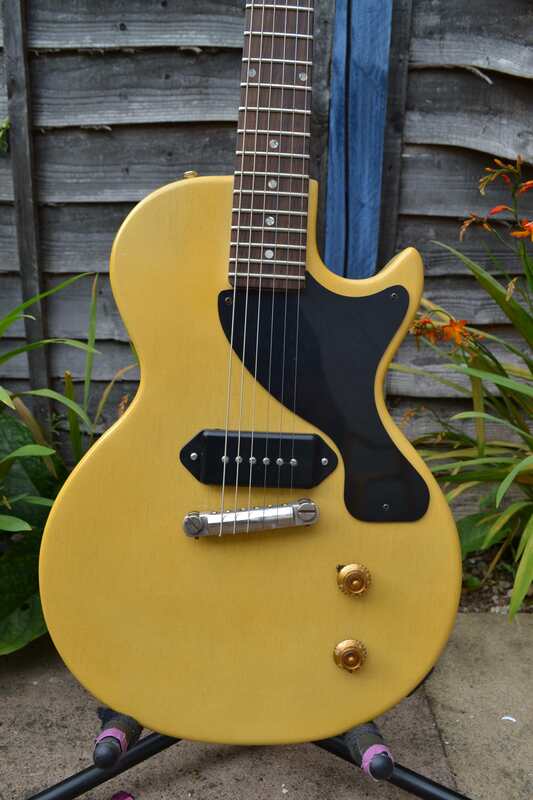 Don’t ‘need’ yet another guitar but very interested to try one of these Sunday. @Teyeplayer Be great to meet you!